Life is beautiful. It is fascinating and wonderful when love circles the soul. The spiritual bonding between the couple after wedding unveils the lifelong journey comprising of joy and sorrow. The wedding promises to have smooth, memorable and lovely times for life long. Therefore, the beginning of the married life should be well spent as it is often believed that wonderful morning always brings wonderful day. The marriage itself is a fairy which compels the honeymoon to be at fairyland spending as characters of the fairy tale. Nepal offers all. It is the land of fairies. From mountain mirrored lakes to swashbuckling waterfall, gorgeous alpine forests to lush green forests, amazing hospitable people to innocent rural environment, snowcapped mountains to plain flat wetland, from temples to palaces and from glacial rivers to swift white water rapids; Nepal presents you the amazing platform to kindle your love and evaporate the romance to the fullest. Backpacker understands the value of human sentiments. Honeymoon Tour in Nepal package put forwarded by Backpacker team comprises of the spiritual visit of Palaces and Temples in Kathmandu Valley, vibrant lake city comprising of the clamor of the lakeside and the scenic views of mountains and lakes in the beautiful city Pokhara. The package includes the Chitwan of Nepal where the couple would get sun and sand experience amidst the dense forests of Chitwan National Park. The city sightseeing, boating, sunrise & sunset views, amazing people’s culture, a clamor of the contemporary city nightlife, the natural and cultural experience would make your honeymoon tour the memorable one. However, these packages can be altered and planned according to the need of our valued clients. Backpacker team has organized numerous honeymoon tours which include Helicopter Sightseeing to the Everest/Annapurna/Langtang/Machhapuchhre Basecamps, the luxury Everest Mini Trek, Cultural Tour to rural society of Nepal and the package as described above. The successful history of organizing such an amazing package proves our mettle in rekindling the romance in couple’s life. Come spend your romantic days in this amazing fairyland. Backpacker team assures you the lovely moment in your life which we are sure that you would share for your generations to come. Fare well Dinner in Bhojan Giriha with culture program. Day 02Sight-seeing of Kathmandu: Leave for full day sightseeing in Kathmandu valley includes the Hindu temple complex at Pashupatinath (a UNESCO World Heritage site) & the biggest Buddhist Stupa at Boudhanath. Also visit Monkey Temple the Swyambhunath (2000 years old temple) drive to Nagarkot Nagarkot 2175m above the sea- level. This spot provides an excellent view of the sunset and Mount Everest can be seen on a clear day. Day 03Nagarkot to Dhulikhel: We will wake early to watch the spectacular dawn. The first rays of the sun firing the peaks a lightest red slowly lighting up the Himalayas from Kanchenjunga and Everest in the far East of Annapurna and Dhaulagiri in the West., Today we will work through forest and local villages, you will have a chance to explore around Nepal village life overnight at Dhulikhel. Day 04Dhulikhel to Kathmandu: In the morning you can have a small hiking to the Dhulikhel town where you can searh your watchful eyes to the different types of birds after we'll drive back to Kathmandu on the way visit ancient city Bhaktapur, Overnight in Kathmandu. Day 05Kathmandu to Chitwan: Drive or Fly to Chitwan National Park. Welcome to our Resort, welcome drink, and briefing about the programs. Evening visit Elephant breeding centre. Day 06Full day tour in Chitwan National park. Full day jungle activities, including, Elephant riding, jungle walk and Tharu village visit. Day 07After breakfast go for birdwatchg tour and we will leave to Pokhara another famous destination of Nepal. After breakfast go for birdwatchg tour and we will leave to Pokhara another famous destination of Nepal. 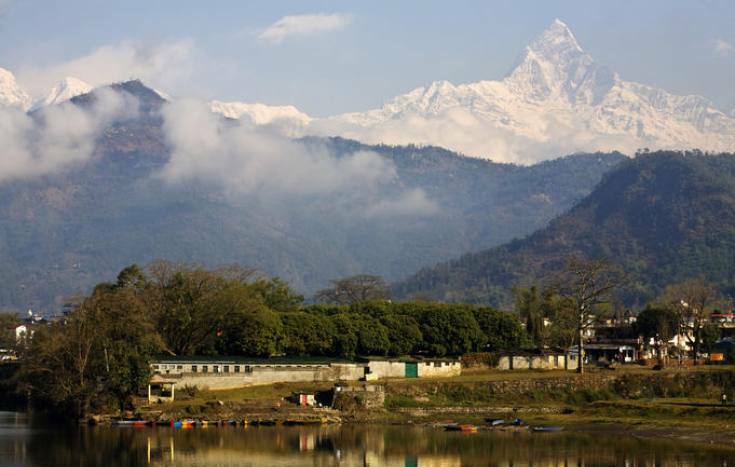 Day 08Full day sight seeing of Pokhara City. Early in the morning we can take a taxi to the Sarangkot hill for viewing sunrise and spectacular snowcapped mountain ranges. After lunch back to Pokhara and visit Devis fall, Tibetan refugee camp, Cave and boating in the lake. Day 09Fly out to Kathmandu: Free day in Kathmandu you can look around Thamel for shopping Evening join Nepal Dinner with cultural Dance. Day 10Final departure, Transfer to airport. If above itinerary couldn’t meet your needs, we can design a tailor-made itinerary to suit your needs. Please let us know whether you would like to make it shorter or longer. Private Trip Departure everyday upon your request. But if you would like to join one of our Groups please see below our fixed group departure dates as per your requirement.